Natalie and I stumbled upon each other in the corporate world, but collaborating on some large retractable display banners quickly sparked a beautiful friendship! We became friends on IG, grabbed coffee, and connected on our shared experiences of attending small Christian universities and moving to a new city to be closer to our fiancés. 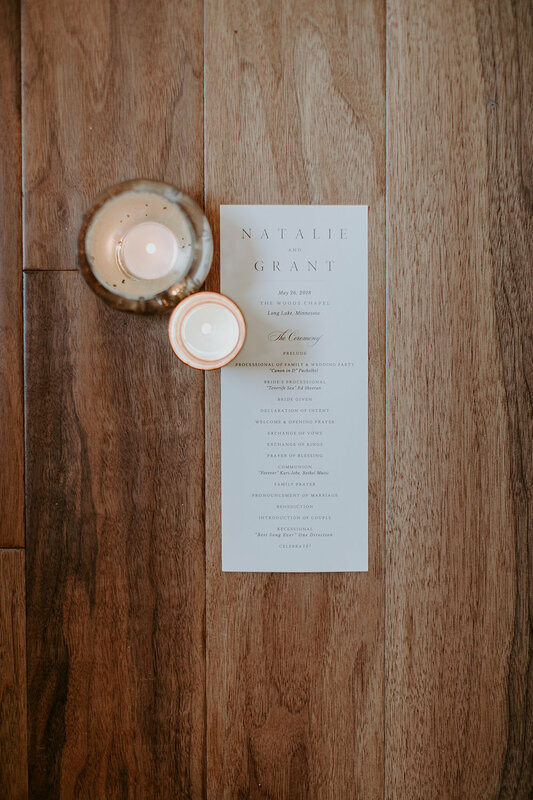 While I'm admittedly not big on the sales side of being an entrepreneur, I couldn't keep quiet when Natalie mentioned she was stressing about finding an invitation designer... um hello, I think I can help! :) Through many conversations over coffee (and Tim Horton's donuts––holla! ), I was privileged to witness how deeply Natalie loves and respects Grant. They not only serve each other well, they work together to love others well. My heart is full when I think of the many, many lives they will impact together as husband and wife. 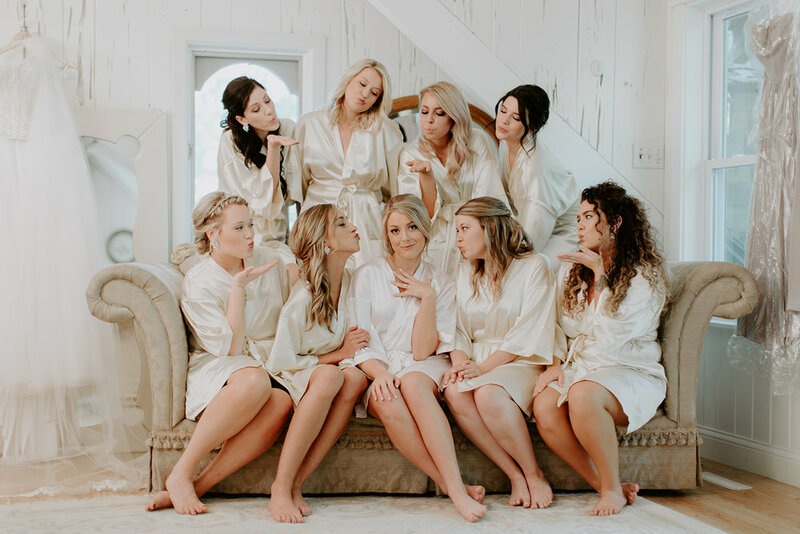 Natalie's impeccable taste and incredibly gorgeous vision for their day made my job easy, and she immediately jumped on board when I proposed the design direction. Natalie and Grant's invitations feature elegant typography in deep gray on a luxe cotton stock, complete with a shimmery champagne belly band. Day-of paper goods like table numbers, seating chart, menus, signage, and programs provided a personalized and cohesive experience for their guests. 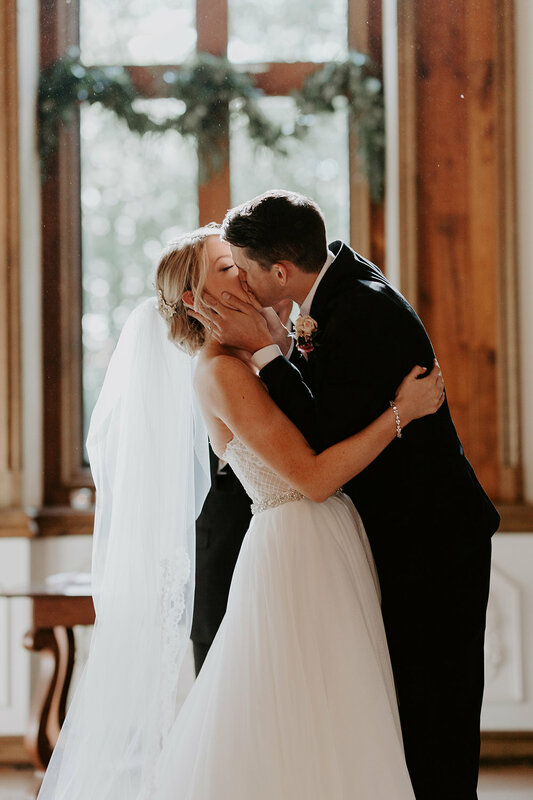 Congratulations, Natalie and Grant, and thank you from the bottom of my heart for allowing me to play a part in your day!